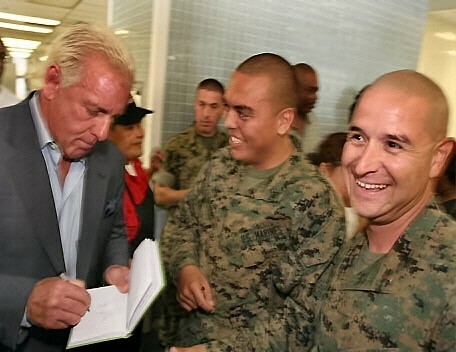 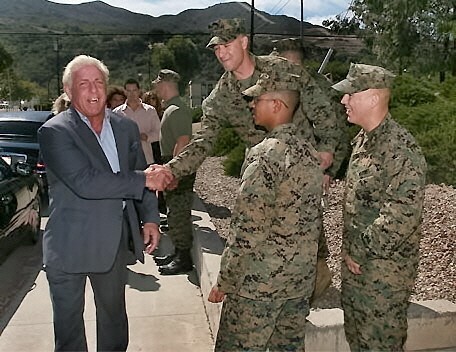 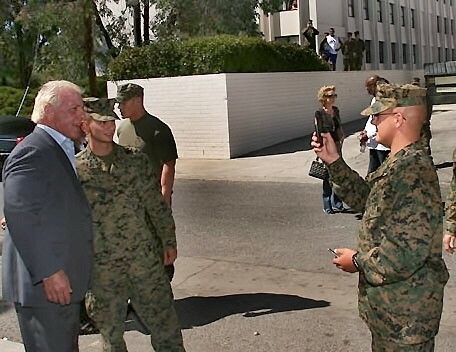 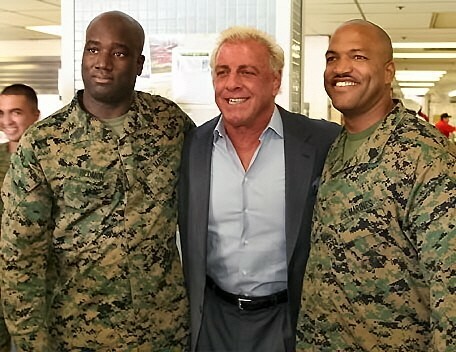 RIC FLAIR WITH SOME MARINES AT THE PREMIERE OF JOHN CENA'S MOVIE "THE MARINE"
SOME MARINES GETTING THEIR PICTURE TAKEN WITH RIC. 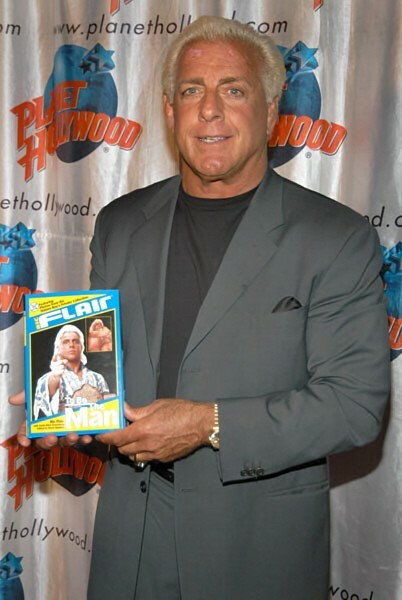 RIC FLAIR WITH HIS BEAUTIFUL WIFE TIFFANY AND JIM MORRIS (HILLBILLY JIM) BACKSTAGE AT THE WWE HALL OF FAME CEREMONY IN 2006. 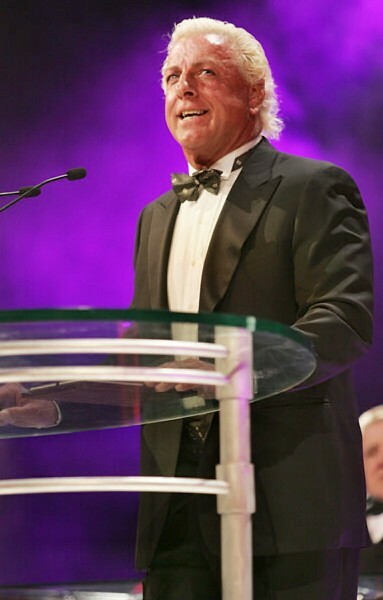 IS IT ME, OR WOULD YOU HAVE KNOWN THAT WAS HILLBILLY JIM IF I WOULDN'T HAVE TOLD YOU? 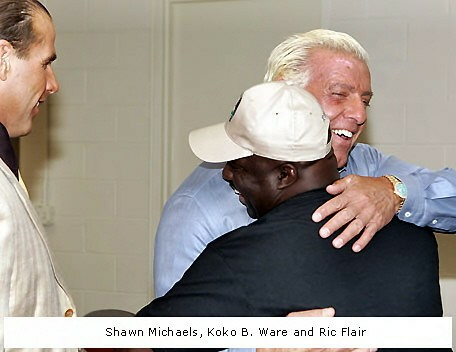 RIC FLAIR HUGS JAMES WARE (KOKO B. WARE) WITH SHAWN MICHAELS WATCHING. 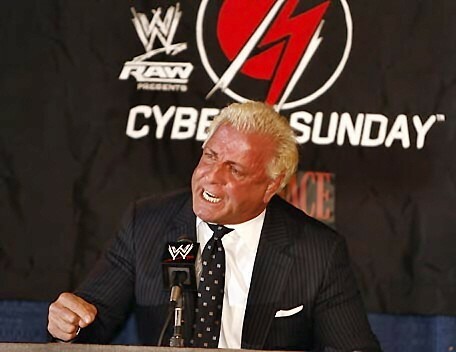 RIC FLAIR REACTS JUST SECONDS AFTER CARLITO TAPPED OUT TO THE FIGURE FOUR LEGLOCK. 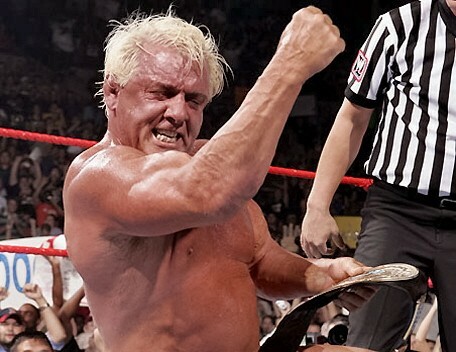 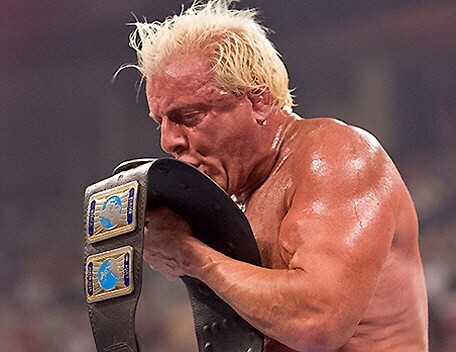 RIC FLAIR KISSING THE INTERCONTINENTAL CHAMPIONSHIP BELT AFTER DEFEATING CARLITO AT UNFORGIVEN ON SEPT.18TH 2005.